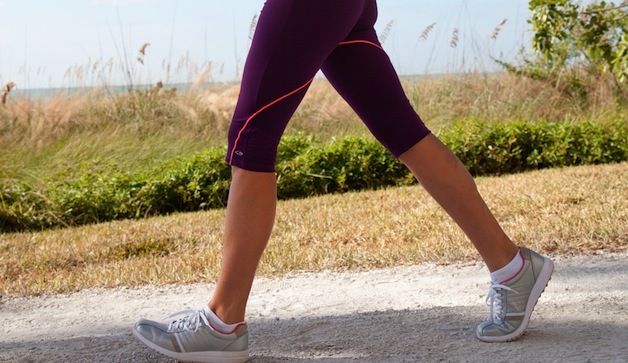 Can you lose weight with just walking? Hell yes you can! Don’t disregard walking. If you’re just starting out with fitness or trying to lose some weight but don’t know where to start, you don’t have to start training for a marathon. It’s okay to start small. So if you weigh 160 pounds and walking for 20 minutes, you could burn 126 calories. In only 20 minutes! If you’re at work, keep an extra pair of walking shoes at your desk so you can go for walks during the day. I definitely recommend that all runners get fitted at a professional running store for the right kind of shoes. The same goes for walkers. It’s usually free and they will help you pick the shoes that are right for your body. It makes a huge difference! Check out these old posts about the topic: Tip for New Runners: Shoe Fitting and Is it Time for New Shoes?. Track your mileage. There are a TON of apps out there that can track how far you walk. 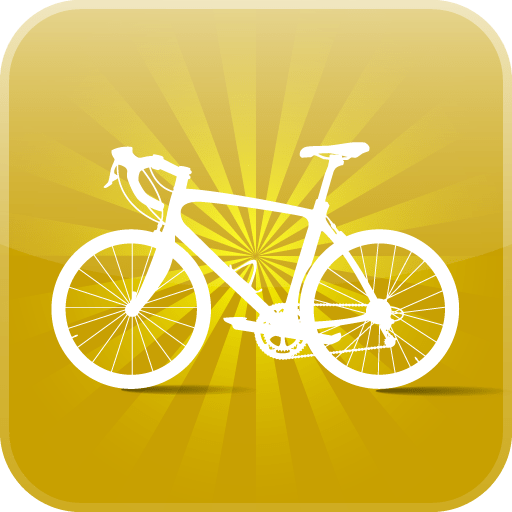 There’s MapMyWalk, RunKeeper or my personal favorite–CycleMeter. I love Cyclemeter because it’s accurate and reliable. I used to use RunKeeper and MapMyRun but that was a few years ago and the GPS used to drop out a lot so I never REALLY knew what mileage I did. With CycleMeter you can change it to almost any activity you can think of. It tracks your distance, speed, elevation, so many things! It’s a great tool. Track your progress. Use MyFitnessPal or DailyMile to log your mileage. Not only will it help you keep track of your progress, it can be very motivating! I don’t know about you but seeing it in black and white makes me feel good and makes me want to try hard. It can also help me set goals. Set goals. Start small. Walk around the block on your break at work, walk for 15 minutes after dinner. The more walking you get in, start making goals that you can work towards. Having specific goals helps in so many ways. It’s tangible and not just an abstract thought like “I want to walk more.” Instead, say “I will walk 1 mile today and 2 miles tomorrow.” Or while you are out walking, set a goal like “I will walk to the corner park and then back.” I do this when I’m running. When I’m feeling like quitting I think, “I’ll just run to that next lamp post and then turn around.” And often times when I get to that lamp post I can keep going. Add hills. Don’t start doing hills in the beginning, work up your stamina and then start adding the hills. Your heart will start pounding harder and you’ll burn more calories. Add weights. Back in the day I remember when speed walking was the thing and everyone was doing it and they had hand weights and then there were the ankle weights and I’ve also seen weight vests. Weighing more definitely burns more calories. I don’t know that I would add weights in the beginning, but later once you’ve lost some weight I can see where hand weights would be helpful. Hydrate! I got a hand held water bottle for running and I love it. I can’t tell you how many times I used to be out on a run, far from home or the office, dying of thirst. There were a few times in the summer when I used to run the waterfront at lunch where I got dizzy and almost passed out because I was dehydrated and overheated. In the summer I mix 1/2 Gatorade and 1/2 water in my running water bottle. It was the best $20 I could spend. So take your water with you when you walk! You can also Prancercise. 😉 You’re welcome! Speed Up. Not in the beginning. Listen to your body and wait until your stamina builds and walking is easier. Once you’re doing it on a regular basis and maybe it’s getting a little boring, spice it up by walking faster. 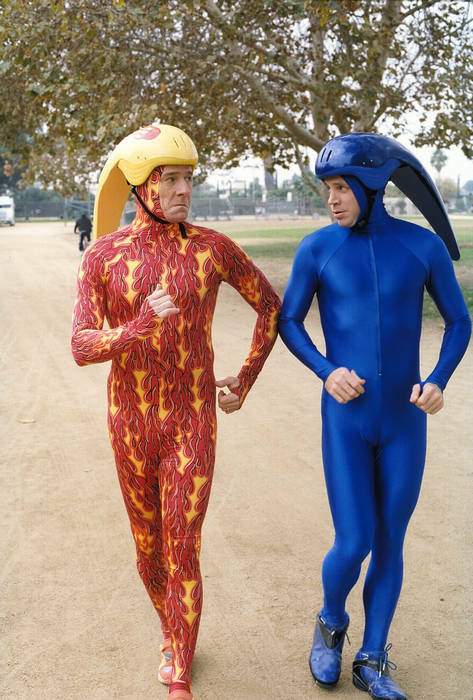 You never know, speed walking may turn into running! Recently I went walking with a coworker during lunch. She’s trying to lose weight and got a FitBit to track her steps. She loves it that thing! It’s encouraged her to walk more and that’s great. Anyways, it was a nice sunny, warm day and we walked for 30 minutes. It reminded me how much I like walking. I used to walk the Hawthorne Bridge every morning into work (nearly 2 miles) and I also walked during my lunch breaks. I got pretty fast at it and could walk from the office all the way to PGE Park and back during my lunch break. I did so much walking and then my knees starting acting up and I quit walking. I realized just how much I miss doing it and I vowed to get back at it! It’s relaxing and exhilarating at the same time. AND IT’S FREE! Are you a walker? Any tips? I’m actually working on a post about walking and how to make it more interesting. I’ve had my FitBit One for almost a month now, and I love it! I have been a walker for decades. Through the first jogging craze, through -ercize fads left and right, through the current obsession with running. Me? I walk. Tips: Think of walking as controlled falling (it is!). Work on lengthening your stride (the amount of time you’re falling before the other foot catches you). Get a dog! They are great companions while walking! And will always go “just a bit further”! Don’t think this is just until you’re fit enough to run. Walking is actually a healthier/better exercise than running! If you live somewhere with snowy, frigid winters work with your school board/city to open up a public building (often a school) at night a couple evenings a week for community walks in a safe environment. I agree! Having a dog helps a lot!! Bella could go forever if we let her. That Malcom in the Middle pic totally caught my attention! Walking alone does wonder for the body.